Finding Teddy is the kind of game that could entice me away from console gaming. I know, I know, the new visuals just revealed at E3 are mind-blowing, but I've long passed the point where graphics were the reason I turned to consoles when it came time to whip out a game. What draws me towards consoles is the level of immersion that can be found in titles with bigger budgets and more talented teams. In Quadropus Rampage, you are (predictably) a quadropus. I am not entirely sure what a quadropus is, and it’s not adequately explained in the game. All I know is that it has four limbs, looks kind of like an octopus, and it will mess you up if you don't stop staring at it like that. From the first frame, Quadropus Rampage is a torrent of non-stop button mashing carnage. Does this brand spanking new game have staying power, or does it come and go like the tides? The arcade-style brawler has a long and storied history. From the X-Men to Double Dragon, nothing has quite the same feel as a good button-mashing beat-em-up. The main problem with these titles on mobile devices is the lack of buttons to mash. Sure, there on on-screen thumbsticks and attack buttons, but it's just not the same. 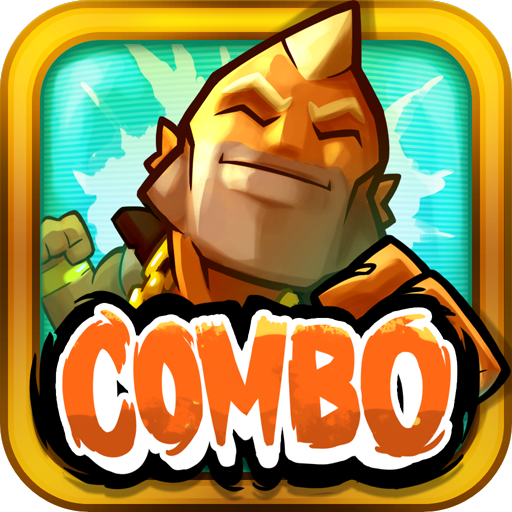 Combo Crew comes to Android in hopes of getting you (and your friends) hooked on its fluid gesture controls and slick presentation. When a stereotypical madman has access to some conveniently forgotten nuclear weapons, the only thing that can stop him is a flying tank. There is probably no other game in which that sentence makes a lick of sense, but it's the basic premise behind Fire and Forget: Final Assault. This is an arcade-style action game based on the classic franchise. In this title you must blast your way through waves of bad guys in a post-apocalyptic wasteland to reach Captain Nucleo's nuclear-equipped hovercraft. 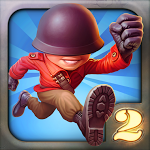 Fieldrunners 2 from Subatomic Studios is the sequel to one of the most popular mobile tower defense games out there. If you loved the look and feel of the first game, you're in luck. Fieldrunners 2 turns the charm up a notch and ushers in a host of new content. But if you had your fill of the original or tower defense games in general, I wouldn't say there is enough here to bring you back into the genre. My fondest memories of the original Star Wars films were the starfighter dogfights. The first time you see the assault run on the Death Star, or the ill-fated attack on the second before it was finished, it's really cool to watch a bunch of fighter craft flying around, blowing the heck out of each other. Every once in a while, you can get the same sense of scale and calamity in a game - usually of the real-time strategy variety.